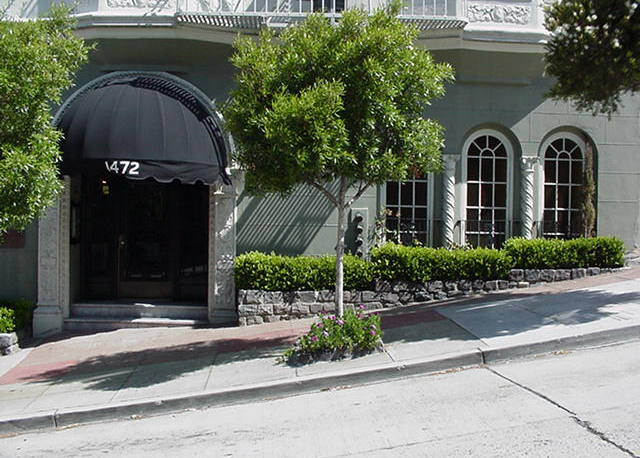 1472 This 73-unit building is located on the western slope of Russian Hill, a half-block from the north end of Polk Street shopping, restaurants and entertainment. Some units see the Golden Gate Bridge. Overlooking the Marina District, this late-1920’s building offers its residents a prestigious lobby, an on-site laundry facility, an elevator and limited garage parking. The apartments are appointed with a telephone entry system, dishwashers, gas ranges, mini-blinds, carpeting, coved ceilings, baseboards and other architectural elements reflecting its grand era. They are separately metered for gas and electricity. The landlord pays for steam heat and hot water.